Far from the bright lights of Sukhumvit, this neighborhood offers an intoxicating blend of new and old. Nestled on the fringes of Chinatown, beyond reach of Bangkok's BTS Skytrain network, Soi Nana is currently one of Bangkok's coolest nightlife neighborhoods. Once a sleepy residential street, the row of crumbling shop-houses has enjoyed a creative reinvention in recent years thanks to a wave of young bar and gallery owners that had grown weary of the commercial hubs of Sukhumvit and Silom. 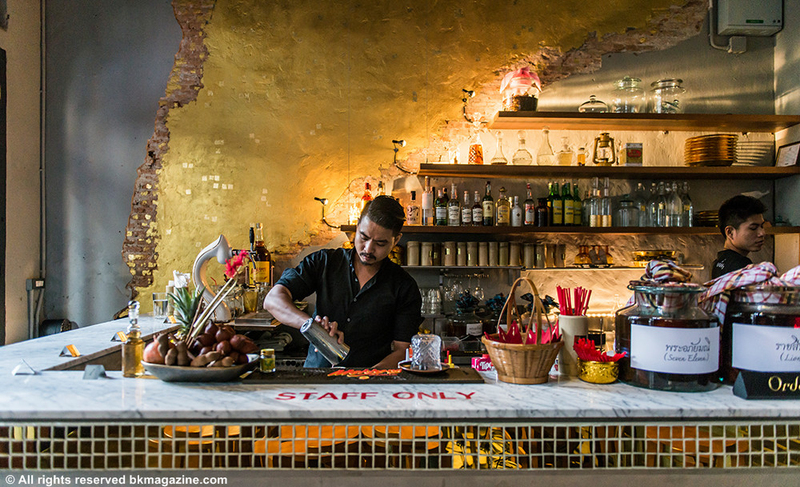 Among the first nightspots to open in the neighborhood was El Chiringuito, a poky Spanish dive bar where the tables spill out onto the street, and the tapas dishes and Spanish Xoriguer gin always seem to be in full-flow. You'll often find the same hip-to-it crowd just down the soi at Cho Why, a multi-disciplinary art space known for its raucous opening parties. Back when a group of creative types threw open the doors of this three-story corner shop-house in 2014, the "other Soi Nana" (not to be confused with its seedy namesake on Sukhumvit) was a far cry from the buzzing nightlife hub it is now. Since then they've hosted four years of exhibitions, documentary screenings, rooftop paella nights and other informal gatherings with arty leanings. One of Soi Nana's most popular drinking holes is Tep Bar—and it's easy to see why. This restored shop-house offers up a distinctly modern update on Thai culture. Here, you'll find potent cocktails mixed with Thai fruits, herbs and spices. There's also a good line of home-infused ya dong (Thai herbal whiskey) as well as a kitchen specializing in Thai tapas. Come nightfall, enjoy your meal while Thai musicians take the stage to play traditional music from the central region. 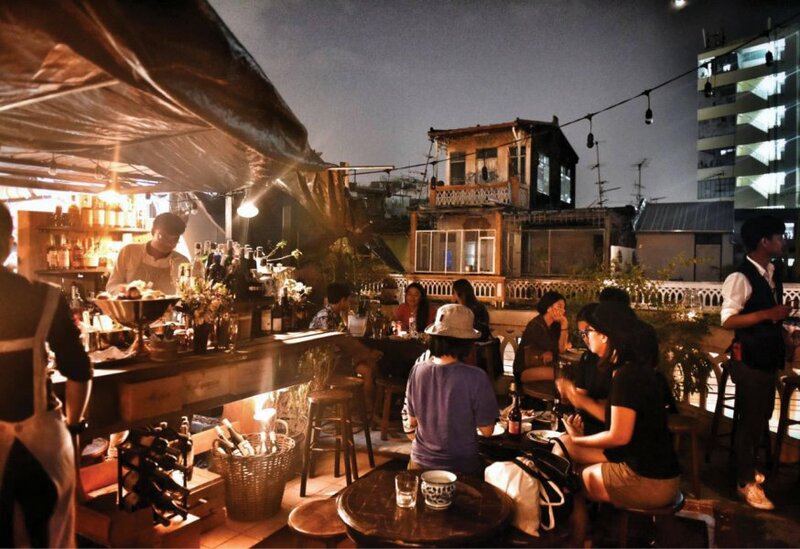 Another hot spot built from the remains of a near-crumbling shop-house is Teens of Thailand, the first Bangkok bar to specialize in gin. Here, behind a heavy-looking wooden door, co-owner and mixologist Niks Anuman-Rajadhon stockpiles an apocalypse-ready supply of labels to ensure the venue’s small, dimly-lit room gets rammed every weekend. Across the street, ToT's neon-drenched sister bar Asia Today provides yet more properly cool, speakeasy vibes. For its cocktails, the team scours Thailand’s countryside for unheard of ingredients, featuring wild honey as a sweetener and complimentary Chinese doughnuts. Even if you have no idea what’s in them, they taste damn good. Neon Chinese letter signs and a do-nothing approach to shop-house restoration give Ba Hao the requisite look of old Hong Kong cool, complete with open frontage that spills onto the Yaowarat streets. 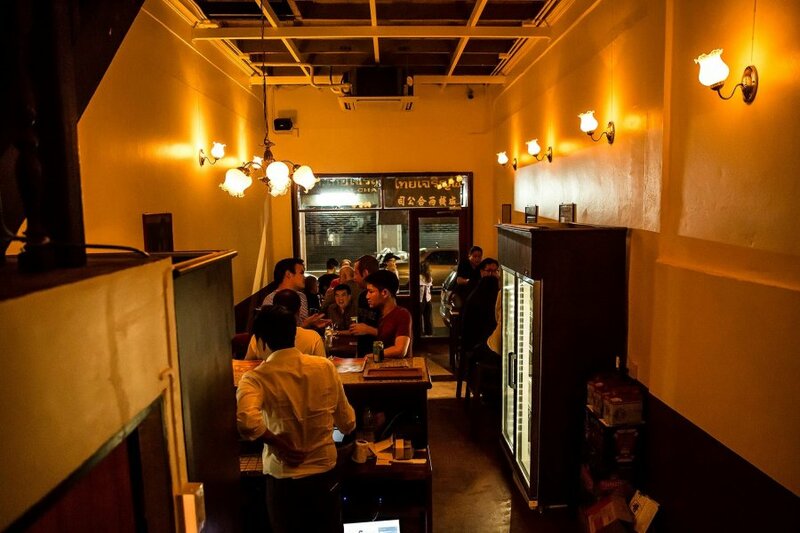 Drinks also pay nods to the neighborhood's Chinese history. Opium, for example, sees a classic negroni spiked with ginseng and herbal liquor, while Five Rivers infuses the flavors of Chinese five spice into rum. Neighboring Pijiu also reads from the retro Chinese playbook. All dark woods, vintage signage and spare lighting, this beer bar swings to the sounds of upbeat piano jazz while pouring craft beers like Los Locos Mexican lager and Tuatara Weiz Guy Hefeweizen at some of the best prices in town. In the fridge, you'll find beers from the top local craft brewers like Happy New Beer. For somewhere tucked away, Wallflowers Upstairs feels like you’re entering the secret garden as you ascend the creaky wooden staircase that leads to this rustic rooftop bar. Through a maze of hanging plants, flower tube chandeliers, exposed brick walls, fairy lights and wooden ladders, you’ll be met with international dishes and Garden of Eden-themed cocktails. When the craft cocktails of its hipster neighbors have drained your wallet dry, you can always rely on 23 Bar & Gallery for a few Thai beers. A soundtrack pumping with Britpop classics also means you’re way more likely to get up and dance. Soi Nana is a 5-10-minute walk from Bangkok's MRT Hua Lamphong station or a 15-20-minute drive from BTS Siam.